Toku Warrior had the most liked content! Toku Warrior replied to Bio-Boosted Dude's topic in General 'whatever'. My time on here is rare. I mostly just visit once in a blue moon nowadays as I work nearly every night and sleep all day. Haven't written anything myself either for nearly 2 years. But, it's good to have U back. Reminds me of the good ol' fanfic days when we talked about Kero, the Rider Multiverse War and Cosmos. Toku Warrior replied to durendal's topic in General 'whatever'. 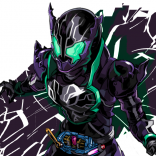 Toku Warrior replied to DekaRed's topic in General 'whatever'. Toku Warrior replied to Jess♥'s topic in General 'whatever'. the best line comes from Stan Lee's Spider-Man. "With great power, comes great responsibility." Adult Material related to guyver. I think that image of Shizu with wings floating behind Guyver 3 with some words written in it....yeah, that was one of my old works. Not surprised how many other people liked to rip me off on that image and claim it as their own. - EDIT ~Yeah, that is mine. I remember Cannibal asking me if he could host it on his site one time~. I'd actually did that image for one of the old Guyverboard art contests. Didn't win, but it was a nice contest. anyway, Yuki (Ryuki...), G-Fan had a nice idea though I think Ur bbcode might be a nice idea as well. Sadly, nowadays, with a lot of the new fan art, the line is becoming even more considerably blurred. So it's hard to tell what should be done. should we stick to the old rules, revamp them, etc...In the end, we need to think what is best for the site and in keeping the site safe from those that would slander it and cause it any form of degradation. Toku Warrior replied to lost unit's topic in LET'S CREATING! Sadly, I don't have my laptop as it's in the shop. So I can't supply any images atm. Toku Warrior replied to lost unit's topic in General 'whatever'. Spin-off series would be interesting. I'd also like to see some prequel series set around the founding of Chronos up until the treachery or Malmot and even during the events of the Creators and Guyver 0. That's pretty damn sick, Lost! I like it! Hm....for a challenge....how about....Chaos Aptom or Kabral Khan DragLord Mode? That or I just wait the extra week until my laptop is fixed. Lost, I don't have any of my old files available at the moment, but maybe....hey Yuki, do U still have any of the old color scans that UG and I did a long while back? If so, and if U wouldn't mind, maybe send them to Lost Unit, so he could get an idea of what UG and I used to do? Unknown Guyver and I used to do the color scans for the earlier book and chapter releases when Guyver Advocacy was first formed. But UG doesn't really come around these parts anymore and I'm currently without my computer, which has the crummy Photoshop Elements (used to have PS 7 but the computer which had that crashed a couple years back). Like I've told Lost Unit and Yuki, my own skills are quite rusty, but I wouldn't mind doing a page or two here and there, mostly just to try and get back into the grove. But it'd have to be a vote among the Advocacy. And if they agree, I would require maybe help from 1 other person, to help with the work load, possibly touching up anything I might miss and such. And I'd only make a limit of 1-2 pages a chapter, not an entire chapter. And any pages done would also need to be agreed upon by the Advocacy. This is just a suggestion really and, even if I do agree to do this, it'd have to wait until I get my computer back from the shop. Which should be about at least another week. One thing I want to see are BB Dude's funny omake inserts that he used to do for the earlier releases. Been a while since I got to see a good omake. These are amazing, Lost! I can do coloring somewhat well, but doing actual redrawing of manga pages, even I'm not that good. My hat goes off to U, my friend. Yeah, there are enough legal issues abound on the internet nowadays. Remember how a lot of those manga fan-sub translation sites got shut down a few years back, due to a lot of the manga companies pulling the copyright card. Doing this, printing out the VDF, without legal consent, would be like slapping Takaya in the face....maybe. Still, it's not a step that we should take as it could bring a bad light upon us.